Jigna has been my dentist now for a couple of years. She is the best dentist i have ever had. Jigna explains everything to me is very patient with me and knows i have a low pain threshold. I now dont fear the dentist like i always use to. 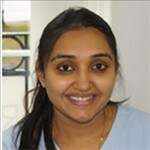 Jigna has explained to me how to look after my gums and teeth correctly which has resulted in less treatment for me. Jigna always has a smile when i see her and is very polite and caring. I could not ask for more from a dentist. I have been visiting Jigna for a number of years now. I was absolutely petrified of the dentist and over those years, she has taken the time and effort to make the process much easier. I am so much calmer now. She recently fixed the top front 6 teeth and has given me back my smile. They are fantastic and I am so pleased with them. I no longer have a problem with showing my teeth in pictures etc. Really lovely lady and would certainly recommend to anyone. The dentist was very kind and explained all the options to me beforehand which we were then able to come to a decision as what to do. The treatment has made me more confident with the end product of the tooth rebuilding being much better than it was before. 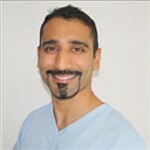 The clinical team were kind and were always very nice and I would definitely recommend the treatment as the dentist rebuilding part of the tooth worked extremely well and it looks very realistic. I'd like to thank Dr Khan for his work! 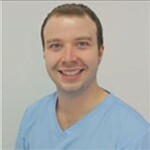 If you are a nervous patient, as I am, then Chris Wooldridge is the dentist for you. 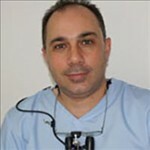 He is patient and understanding and provides a thorough explanation of your treatment beforehand. Having been traumatised by my school dentist when I was younger, it took a great deal of courage to trust another. However, Chris has enabled me to overcome my fears and get the treatment I needed. I was treated by Mr Woolldridge this morning; one old filling required replacing, and the teeth cleaned. It has been some years since I had any treatment done and was not looking forward to the process. The procedure was explained clearly, thoroughly and my questions answered. The work was completed calmly & efficiently with minimum discomfort. 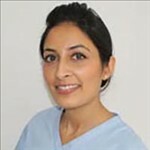 We aim to provide all our patients with high quality dental care in a relaxed and friendly environment. We take pride in our dentistry and endeavor to make your visit a pleasant one. Our services include the expert routine dentistry that you expect, through to our specialist implant dentistry that you deserve. Whether it’s a standard check-up, dental implants, veneers, crowns and bridges, tooth whitening, oral hygiene or other attention that you require, Crook Log Dental Practice is here to ensure your complete satisfaction. We have been established as a dental practice for over 2 decades but our ethos has remained the same: to provide modern, evidence-based and conservative dentistry.